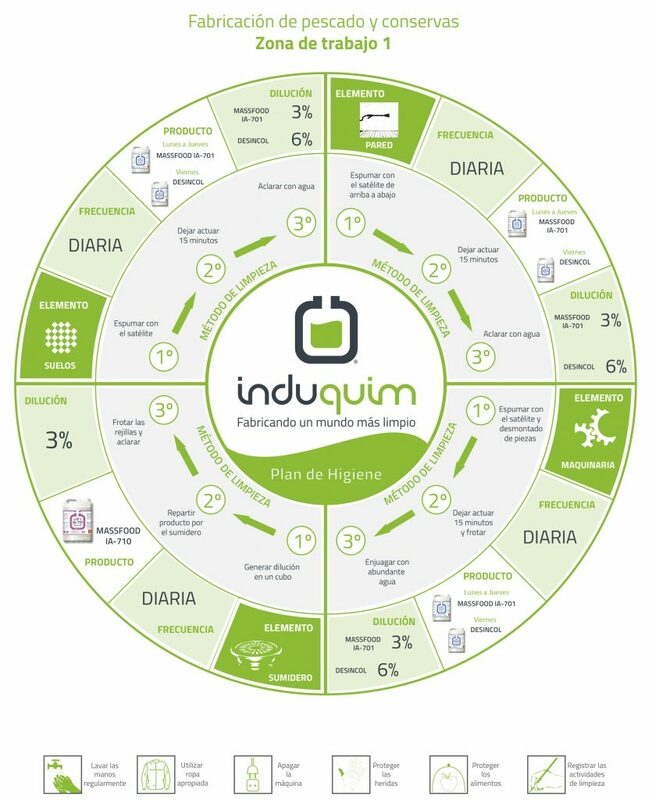 At Induquim we know the complexity of the current hygiene, in approach to the food industry, and the complexity of the processes that the demanding regulations have imposed. Therefore, we offer our integral services, providing full support to the range of products, for specific use, for the food industry, kitchens and general cleaning, and which is manifested in the development of hygiene plans and signage, adapted to the reality of the facilities of each client. We want you to just have to worry about your business, leaving everything else in our hands. For more information, contact us or our salesman.